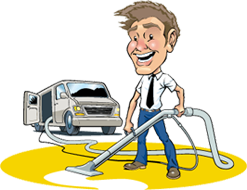 Looking for a Carpet Steam Cleaning Service in Beaumaris? David’s Carpet Cleaning is a specialist in residential carpet steam cleaning and commercial carpet cleaning in Beaumaris. Our carpet cleaning technicians operate state-of-the-art, heavy-duty carpet steam cleaning machinery to make your home clean and germ-free. Our experienced technicians specialise in a deep steam cleaning process for all types of carpets and rugs. Our state-of-the-art machines are powerful enough to remove germs and debris that have been buried in the carpet in your home for years. Why choose David’s Carpet Cleaning? Experience – For 15 years, David’s Carpet Cleaning has been steam cleaning carpets and cleaning homes and businesses throughout Beaumaris. We started out as a humble, one-man, one-truck operation in Cheltenham and through a quality service and affordable products have grown from strength to strength. State-of-the-Art Cleaning Equipment (Truck Mounted Machines) – We take pride in the top-grade cleaning equipment we utilise, which has been specifically designed to remove all sorts of spots, deal with pet hair, improve the smell of your carpets, and of course make them look like new again. High-quality eco-friendly detergents – Most cheap carpet cleaning companies usually make use of cheap quality chemical products that prove very harmful for your carpets and upholstery. Low-quality chemicals will produce irreparable damage to your carpet. Too much chemical residue is left behind in the carpet and upholstery and after a few weeks carpets will be dirtier than they were before. This is important! We use nothing but the highest quality detergents to ensure the job is completed with superior results. Our courteous and friendly staff are experts in the science of cleaning carpets, hardwood floors, upholstery, and tile and grout. Beaumaris’ Best Pricing – As the premier carpet cleaners in Beaumaris and surrounding suburbs – David’s Carpet Cleaning is devoted to offering the best prices in the industry. We are honest and will charge what we quote, without adding any hidden costs to the initial quote. Step 1: Pre-Inspection – The pre-inspection is key, as it will allow us to properly set up a plan to service your carpets and upholstery. This is your time to inform us of your biggest concerns; we will inspect your particular areas of concern as well as note carpet construction and soil conditions. We will also inform you of any possible permanent staining on the horizon so that there will be no surprises at all. Remember: not all stains can be removed completely, and a carpet cleaning company that claims they can remove all stains is not trustworthy or professional. At David’s Carpet Cleaning we’ll certainly let you know. Step 2: Furniture Moving (optional) – By request of the client, sofas, chairs, tables, and any other furniture that is of appropriate size will be carefully moved by our able strong hands. Step 3 Pre-Vacuum – If appropriate for the situation, your carpet will be promptly pre-vacuumed to remove bonded dry soil, making the main cleaning methods run smoother. This pre-cleaning will help more of the dirt and debris to be cleaned up during the main cleaning part of the procedure. Step 4: Pre-Condition & Pre-Spot Treatment – High traffic areas and spots are pre-treated for more effective soil and spot removal. 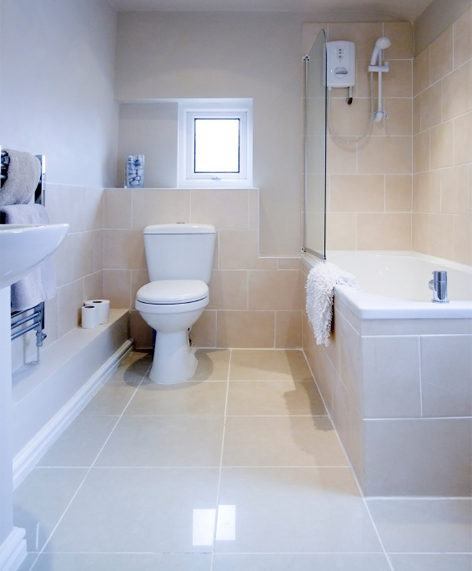 This will ensure that the soil and spots will be lifted, and the most thorough cleaning will be utilised for the job. Step 5: Pre-Groom – Depending on the soil level of your carpet, the carpet will be pre-groomed with a carpet groomer to further loosen traffic area soiling. Step 6: Extract & Rinse – The steaming begins. Once the soil has been loosened, our state-of-the-art truck-mounted hot water extraction machine will thoroughly rinse the carpet pile. Pressure and heat are regulated so that carpet is not overly wet. We will then rinse your carpet with specially treated water at the cleansing temperatures ranging between 60-235 degrees. This step also improves the quality of the air in your living space by removing the pollens, pollutants, and dust mites, etc. from the carpet, making your home a safer place to be. Step 7: Post Spot Treatment – If any spots are not removed during the main cleaning process, speciality spotting techniques are employed after a thorough cleaning to get rid of all the stubborn spots that were not lifted. Step 8: Post Inspection – After we are through with the job, we encourage you to take a walk through your home or business office(s), using the plastic boots we provide to inspect our work and make sure that we’ve met your standards. If you’re satisfied, let us know, and if not, we’ll do whatever we can to make sure that you are. We offer a 100% risk-free money back guarantee. Need Carpet Cleaning in Beaumaris? Contact Us! We also operate our steam cleaning services in neighbouring suburbs such as Cheltenham, Sandringham, Mentone, Edithvale, Mordialloc, Brighton, Frankston, Black Rock and Beaumaris. Hot water extraction for deep steam cleaning. With over 15 years industry experience, the latest powerful commercial grade equipment, fully trained technicians and industry certifications, David’s Carpet Cleaning will ensure your carpets, tiles & upholstery look cleaner than ever before!